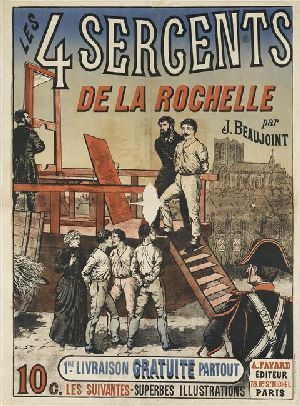 On this date in 1822, four sergeants from La Rochelle were guillotined at the Place de Greve with “Vive la liberte! on their lips for plotting to overthrow the restored Bourbon monarchy. In the Restoration following Napoleon, the cautious gouty brother of the Revolution’s most famous guillotinee came to the throne as Louis XVIII. And in a right-wing reaction following a royal assassination, Louis found himself in the anomalous position of having a government more monarchist than he himself. Though not renowned for his sagacity, the sovereign had the wit to see that completely reversing the Revolution was a nonstarter. His ultra-royalist deputies, however, wanted nothing less than the full restoration of an absolute monarchy. The Chief Minister [Villele] had the merit of keeping constantly in mind the fact that his friends owed their power to the forces of reaction and alarm, aroused in the country by the dagger of an assassin who had mortally wounded a member of the royal family. To keep this fear awake, in order to establish his authority, was his first care. In this he succeeded. 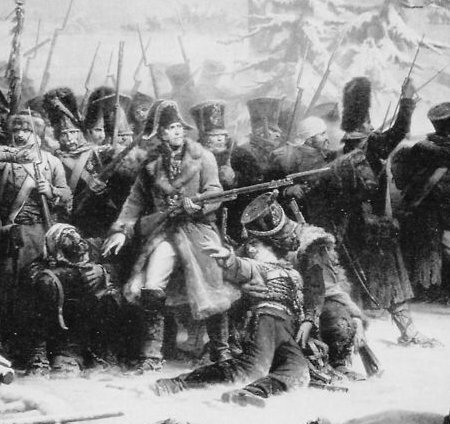 The Liberals, finding themselves compelled to prudence, organized themselves into secret societies; and the Republcians, imitating the Neapolitans, actually formed in 1821 the Charbonnerie francaise, which avowedly aimed at giving back “to the French nation the free exercise of the right to choose its sovereign.” In order to give battle to the ancien regime and its Bourbon protectors, they recruited their soldiers and captains without hesitation from among the officers, commissioned and non-commissioned, of the old Imperial army. 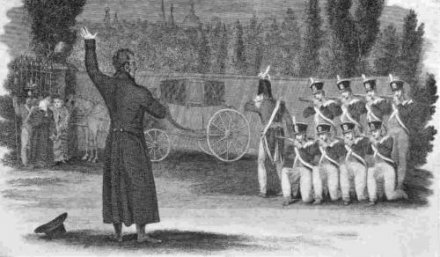 Villele showed particular skill in the discovery, exaggeration, and signal punishment of these conspiracies … With a magistracy obedient to its orders, the Ministry devoted itself assiduously to representing isolated movements no sooner known than crushed, as forming part of a permanent conspiracy organized by the Liberals, not only against the monarchy, but against society itself. Les quatre sergents de La Rochelle — by the names of Bories, Goubin, Pommier and Raoulx — comprised perhaps the most egregious such case. It seemed that the Ministers were eager to multiply these trials and executions. Since certain deputies of the Liberal Opposition, Lafayette* among others, and D’Argenson, had openly associated themselves with these enterprises, which otherwise were devoid of danger, this supplied a fair pretext for exhibiting them publicly as criminals. The indictment with the King’s Procurator, Marchangy, formulated, in order to obtain the condemnation of the four sergeants of La Rochelle, left no doubt as to the intentions of the Government. Its chief aim was to terrorise the French people “by this vast conspiracy against social order, against the families of citizens, which threatened to plunge them once more into all the horrors of anarchy.” While keeping up the appearance of saving society, Villele gained forthwith the power to govern it in accordance with the wishes of his friends. The threat of anarchy, exploited by the judges in his service, allowed him to organise a despotism. 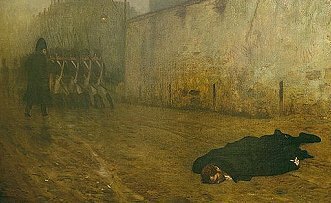 The public execution reportedly had its onlookers appalled, (more French) and as word of the young men’s heroic deaths got around, they elbowed into the vast host of (somebody’s) martyrs. (In Balzac’s Human Comedy, the courtesan Aquilina is said to have been involved with one of the four sergeants; in her appearances after the executions, she always commemorates him by wearing something red.) 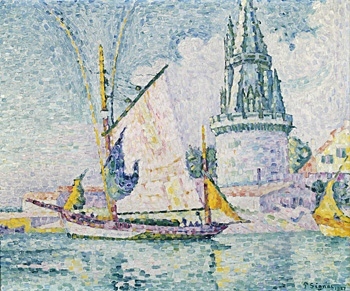 The Lantern Tower in their garrison’s city — depicted below in a 1927 Paul Signac painting — was renamed in their honor, Tour de Quatre Sergents. 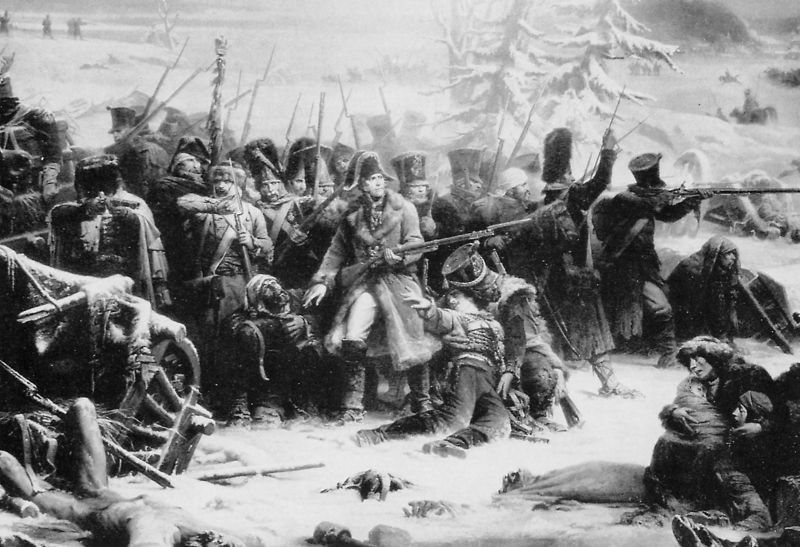 * Lafayette always seemed to be somebody’s dangerous element. It’s a wonder he never got himself into this blog.